This slender pendant light features our signature crackle glass housing a single candelabra base bulb. 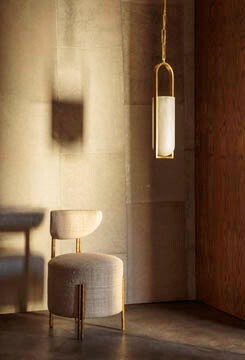 The crackle glass shade is framed in brass and hangs from a brass canopy. The mix of clean and raw finishes give this pendant a distinct modern feel . Available in Antique Burnished Brass, Bronze, and Polished Nickel with Crackle Glass.